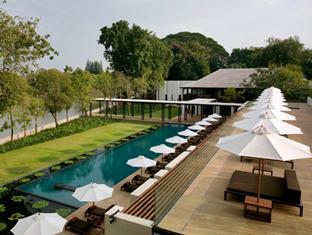 The Chedi Hotel Chiang Mai is an elegant retreat offering all the pleasures of resort living in the centre of Chiang Mai. Strategically situated on the banks of the Ping River each of the resort's exquisite rooms and suites offers private courtyards, open balconies and breathtaking views. The Chedi's nostalgic appeal, stylish amenities and discreet service are geared to discerning guests with a penchant for gracious hospitality the largest and most culturally important city in the north of Thailand. 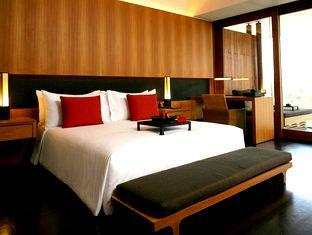 The Chedi offers 52 exquisitely appointed Deluxe rooms and 32 Chedi Club suites. Contemporary Asian in design with stylish furnishings and muted tones; the allure of the resort's accommodation is elegantly understated. 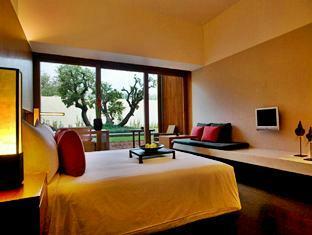 Deluxe room - Private courtyard entrances lead into spacious bedrooms with attached open plan bathrooms. Graceful fittings, Asian art pieces and floorings of teak and terrazo convey an air of urban reticence; while sizeable balconies offer a view of the Mae Ping River. Chedi Club Suite - The Club suites are twice the size of the Deluxe rooms with large sitting areas for lounging or indoor dining. Generous open balconies with comfortable daybeds allow for exclusive alfresco entertaining. 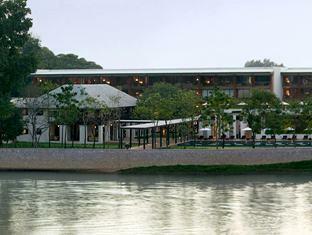 The Chedi Hotel is situated on the banks of the Mae Ping River very close to the Night Bazaar and is walking distance to the Sunday Market, Night Bazaar, city restaurants, shopping and banks. 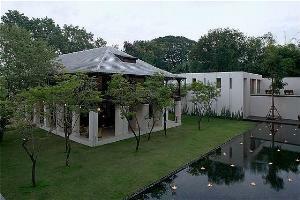 Rooms are arranged facing the Mae Ping River and garden area. Room rates include taxes and breakfast. Club suite includes - 2 way airport transfer, breakfast, mini bar, laundry, private check-in and daily newspaper. Children sharing - Deluxe room, maximum of one child under 12yrs. sharing existing bedding. Club suite, maximum of 2 children under 12 yrs. sharing existing bedding & sofa bed. Extra bed on request for children at extra charge. Children's breakfast not included and is charged @ 50% of menu rate. 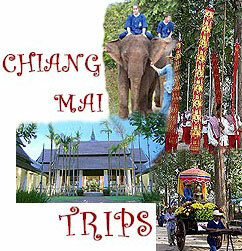 Pick up is available @ 800/trip (one way - max. 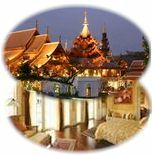 3 persons) Please fill in arrival details if you have chosen hotel pick service.